6U Wall Mount Bracket Extendable Network Equipment Rack Threaded Standard 19"
Made of high quality 2mm Cold Rolled Steel with a powdered coated finish for durability. Available in a variety of heights. Divided hinge allows easy access for upgrades and maintenance. Product Details. Supermicro SuperChassis CS-113M ABC-03 PWS-605P-1H Gehaeuse 19" Rack Blk. 1U Supermicro PWS-605P-1H 650 Watt Server Netzteil, W/PMbus, gold level. 1 Stück 1U Gehäuse mit Netzteil HDD Backpiane Caddys ohne Rackschienen wie abgebildet und beschrieben. ProLiant DL385 G6 Server. ProLiant DL385 G7 Server. ProLiant DL380 G7 Server. ProLiant DL380 G6 Server. Server side (inner rails) are NOT included . Included: Cabinet side (outer rails) ONLY! HP P/N: 616992-001. 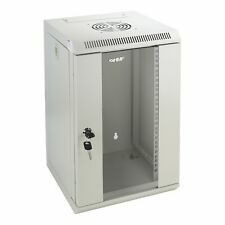 Der hochwertige 10“ Serverschrank, Netzwerkschrank von HMF ist bereits voll montiert und bietet den idealen Stauraum für Ihr Netzwerk-Equipment. 480 mm (19") Rack-Leergehäuse 3 HE 480 mm (19") Rack-Leergehäuse, schwarz lackiert. Belüftungsschlitze in der Oberseite. Seitliche Langlochbohrungen für optionalen Rack-Einbau. Konstruktion aus 1,2 mm Stahlblech. Made of high quality cold rolled steel with an electro-static powder coated finish that protects them from rust and corrosion. Assembly required. Includes 2 sets. 8 10-32 Screws per shelf 8 12-24 Screws per shelf. Der hochwertige 19“ Serverschrank, Netzwerkschrank von HMF ist bereits voll montiert und bietet den idealen Stauraum für Ihr Netzwerk-Equipment. 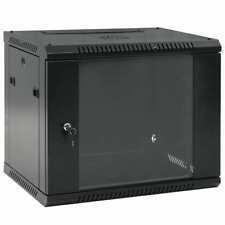 (14" Deep) ( 12" x 9.6" ATX / Micro-ATX / Mini ITX ) Server Case. c. 6.7" x 6.7" Mini ITX MB. 4U (2 x 5.25" 6 x 3.5" HDD Bay) Front Access Rackmount Chassis. As to the motherboard compatibility, it fits all 12"x9.6" ATX form factor motherboard in the market, also by the absolute cost-efficient price. With Aluminum Shield Ribbon. PLinkUSA / RackBuy. The front panel is made of 1/8" thick aluminum with brush anodized finish, the sides, top and bottom are 0.05" thick steel with painted in gray, and rear panel is 0.06 thick aluminum with painted in gray. 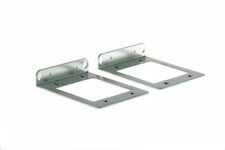 Designed detachable rack mount bracket for both table top and rack mounting needs. 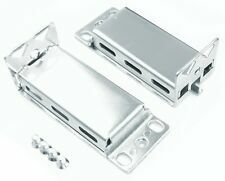 Front and back panels are detachable and made with Aluminum for easy DIY modification. Installed stainless steel press nuts. It has slotted venting to reduce the possibility of overheating. Made of high quality cold rolled steel with a powder coated finish that protects them from rust and corrosion. Assembly required. Includes 2 shelves. Made of high quality cold rolled steel with an electro-static powder coated finish. Available in a variety of sizes. Drawer Extension: 7.75". Pull handle design. 1 set of keys. This versatile rack cooling fan system can mount to any 19” standard cabinet, and is useful in a wide variety of different applications. The rack fans are best positioned near the top of your rack. The 4 powerful and quiet fans are encased in a sturdy aluminum enclosure and are finished in a sleek black design. 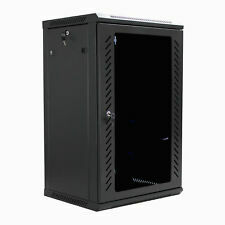 (11.81" Deep) (ATX / Micro-ATX / Mini ITX) (Front / Rear) Server Case. 3U (1 x 5.25" 3 x 3.5" HDD Bay) Rackmount / Wallmount Chassis. support 12"x9.6" ATX or 9.6"x9.6" Micro-ATX MB. Totally 4 drive bay: 1 x 5.25" CD and 3 x 3.5" HDD bay. LOT of 2 Manufacture: APC P/N: 840-0206 Rack Handle Security Lock and Key Mounting Hole Height: 5. It has slotted venting to reduce the possibility of overheating. Made of high quality cold rolled steel with a powder coated finish that protects them from rust and corrosion. Assembly required. •Front panel (from our 2U range of panels - others could be used ie- XLR). Panel and enclosure fixing screws . Contents -Easy assembly kit. Base panel. 4.2U 19" front blank panel. Side panels with ears (x2). Made of high quality cold rolled steel with an electro-static powder coated finish that protects them from rust and corrosion. Assembly required. 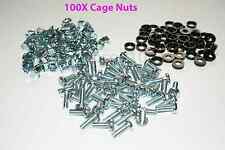 8 10-32 Screws 8 12-24 Screws. PANDUIT PAN-NET CP24688BL Coupler Patch Panel, Cat 6, Flat, 24 Port, UTP Black. It has slotted venting to reduce the possibility of overheating. Made of high quality cold rolled steel with a powder coated finish that protects them from rust and corrosion. The two way fan fits into the roof section of the Environ WR wall racks. The Fan trays are supplied with either a BS1363 (UK) or Schuko 3m IEC 60320 C13 power leads (See Part Number table). The IEC 60320 C13 power leads allow for easy installation and may be replaced to suit the specific power connection. 1U ITX 2x2.5" HDD (or 1x3.5") USB Rackmount Chassis. 1U Mini-ITX 9.84" Deep Rackmount Chassis. (Front / Rear Mountable) (Customize 1U IO shield Available). All Available 1U Back I/O shield list. 2 x 2.5" HDD bay (or 1 x 3.5" HDD). HP RAIL 513633-005 FOR DL D2600, D2700 RAIL KIT. These rails are used in good working order, expect oxydation mark from storage and climate flunctuations. Serial numbers : All relevant serial numbers are logged in a data base, we also use warranty stickers where appropriate. Startech 8U Desktop Rack 2-Post Open Frame. Condition is like new as this has been opened, assembled and packaged back up. It has never had a server/switch mounted. NEW 19" Rack Mount Kit Cisco 1905 1921 ACS-1900-RM-19 Brackets Lifetime Wrty!